The Six Senses group pride themselves on selecting remote yet accessible destinations in areas of outstanding natural beauty, and their bespoke creation Con Dao certainly lives up to this philosophy. 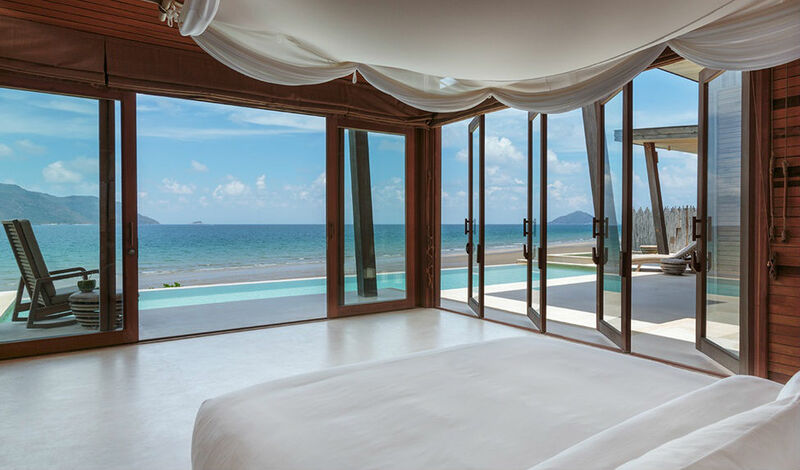 The first five-star resort on Con Son Island, this gorgeous hotel boasts 52 contemporary villas designed with an eye to traditional architecture. Whether you’re craving a relaxed beach break or a cultural discovery, Con Dao’s got it covered. You’ll find Con Dao nestled on the shoreline of the Vietnamese archipelago Con Son Island, complete with a backdrop of the Co Voi Mountains and lush tropical mangroves. Flights from Ho Chi Minh to Co Ong airport on the island take just 45 minutes so you’ll reach this remote haven in no time. The area is protected as both a National and Marine Park so take a hike in the tropical rainforest and watch sea turtles come to nest to make the most of the resort’s stunning surroundings. 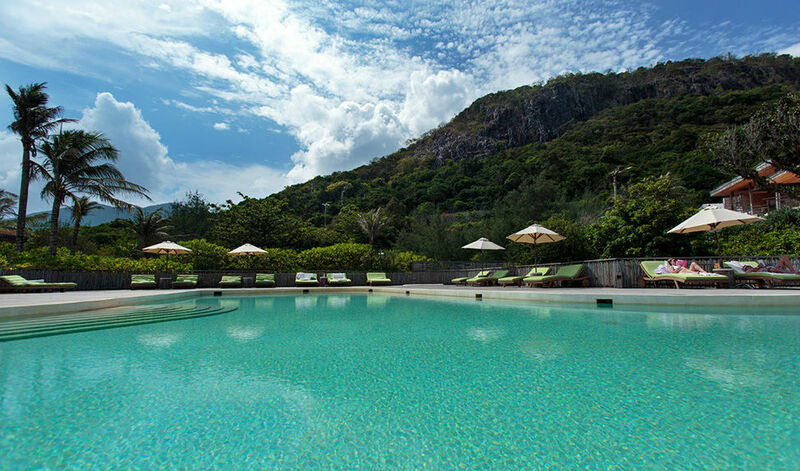 Gorgeous turquoise waters are the defining feature of the stunning villas at Con Dao; each comes complete with a private infinity pool, not to mention the breathtaking panoramic views out to sea. They reflect the essence of a traditional Vietnamese fishing village but with all the modern luxuries; think bamboo furnishings, snuggly white canopy beds and outdoor showers where you can cool off whilst at one with nature. There’s nothing better than pristine, deserted beaches that you can enjoy all to yourself and Con Dao’s location provides this like no other. As if the Six Senses spa wasn’t dreamy enough already its home to a yoga pavilion that overlooks the ocean, as well as a delicious fresh juice bar to make sure you get all those vitamins.Don’t even get us started on the open air cinema that comes out to play in the evenings. For those who want to get to grips with the rich Vietnamese culture the temples and morning markets are on your doorstep as well. Need we say more?